MINNEAPOLIS – Online activists, trade unionists and supporters nationwide convened here last week during the Netroots Nation annual conference. Participants shared stories about online organizing successes and are gearing up for the 2012 elections. Other speakers included progressive activist and former green jobs czar from the Obama administration Van Jones, DNC Chair Debbie Wasserman-Schultz, former Chair Howard Dean and Minnesota’s Democratic senator and former Saturday Night Live comedian Al Franken. Trade union leaders were also in attendance including Randi Weingarten, president of the American Federation of Teachers (AFT), SEIU President Mary Kay Henry, UFCW President Joseph Hansen and many others. The conference was stocked with workshops about how to make the most of online organizing, and how the progressive movement aims to overcome recent attacks against working people from the GOP and it’s extreme right-wing. Political discussions were had on the following topics: the war on contraception; the politics of hate; the rise of anti-Muslim bigotry; and the role of race in electoral politics. One of the distinct features of the conference was the large amount of young people present. 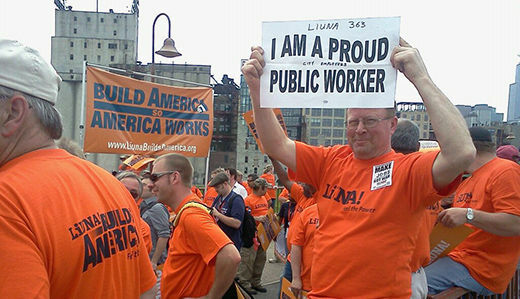 Hundreds also attended a Laborers International Union of North America (LIUNA) rally on the Stone Arch Bridge in the shadow of I-35W bridge in Minneapolis, which collapsed in 2007 killing 13 people and injuring 145. Critics say the bridge’s collapse was a result of budget cuts pushed by Minnesota’s former Republican governor and current GOP presidential candidate Tim Pawlenty. Other speakers included Van Jones and Maryland Democratic Senator Ben Cardin. There was concern about the current administration and its efforts to create jobs as well as the ongoing wars overseas. One session dedicated to reclaiming this administration for the progressive movement was titled, “What to do when the President is just not that into you” and featured Blogger Jane Hamsher and LGBT marriage rights activist Lieutenant Dan Choi. 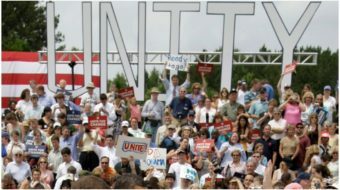 The panel is urging President Obama to do more in the fight for marriage equality and is calling on progressives to create the ground swell of support. The conference ended with a “Day of Service” activity. Activists worked at the Eloise Butler Wildlife Gardens in order to give back to the community that hosted them. Jordan Farrar is a fan of European football, reggae music and camping, and played the bass guitar for a local garage band in Baltimore. 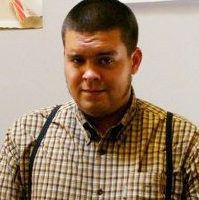 He has been involved in youth and student struggles since high school and works with various groups aimed at fighting racism, sexism and homophobia.